In India, Bosch is a leading supplier of technology and services in the areas of Mobility Solutions, Industrial Technology, Consumer Goods, and Energy and Building Technology. Additionally, Bosch has in India the largest development center outside Germany, for end to end engineering and technology solutions. 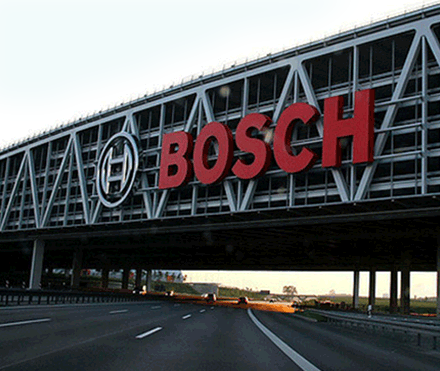 Bosch Group operates in India through nine companies, viz, Bosch Ltd., Bosch Chassis Systems India Pvt. Ltd., Bosch Rexroth India Ltd., Robert Bosch Engineering and Business Solutions Pvt. Ltd., Bosch Automotive Electronics India Pvt. Ltd., Bosch Electrical Drives India Pvt. Ltd., BSH Home Appliances Pvt. Ltd., ETAS Automotive India Pvt. Ltd., and Robert Bosch Automotive Steering India Pvt. 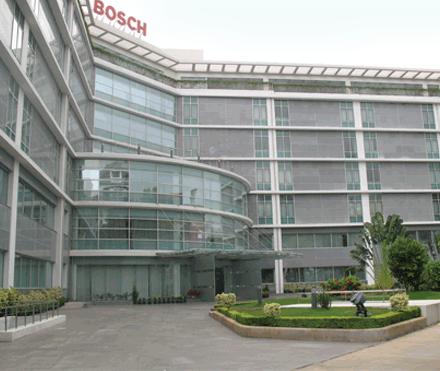 Ltd. Bosch had set up its manufacturing operation in India by 1953, which has grown over the years to include 14 manufacturing sites, and seven development and application centers.